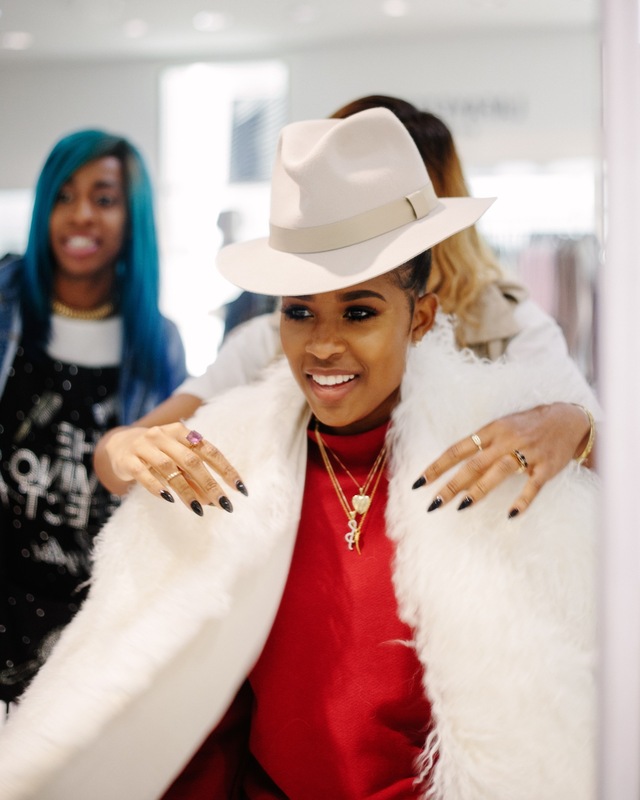 DeJ Loaf has hatched a plan to go horseback riding. It’s a little past noon on a Saturday in Atlanta, and DeJ, a big animal lover, is ready to cross horses off her bucket list. She’s dressed for the occasion, wearing a sleek version of a jockey outfit: beige patch riding pants from Zara, a long coat over a chocolate blazer, and Hermès boots. Pincurls peek out from a small cowgirl hat. She’s also packed a Canon DSLR so someone can capture the experience in hi-def, both for social media and personal archives. Our appointed instructor, an attentive and jovial woman in jeans and a tee, introduces DeJ to a 700-pound Welsh pony. To begin, she has DeJ lead the horse around a small pen to build her confidence. The instructor is a pro at stroking egos, but seems legitimately impressed with her swift grasp of riding. Whenever she asks if DeJ wants to proceed to the next level — onto the dirt trail, and then over near the lake — DeJ accepts, with no signs of panic or anxiety. The shyness that she says held her back for most of her life became a professional challenge after “Try Me.” In the past two years, which saw her open for Nicki Minaj’s Pinkprint Tour and perform in a Lil Kim tribute for VH1’s Hip-Hop Honors concert, acts like Young M.A. 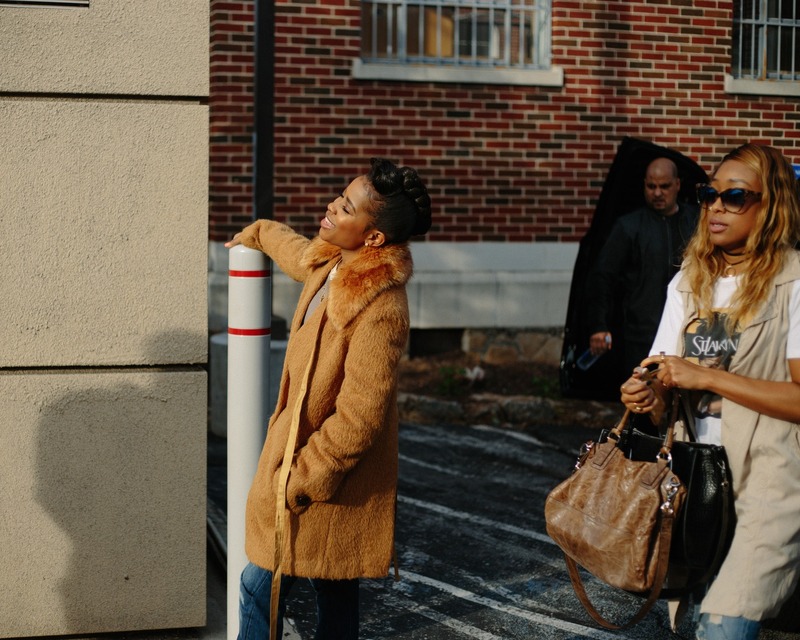 and Tink have broken out, too, renewing the conversation about the so-called dearth of women rappers. DeJ could find commercial and critical success alongside them. With no album yet to show, she’s been cautiously finding her voice, supplying her fan base with two mixtapes, an EP, and loosies to hold their attention. 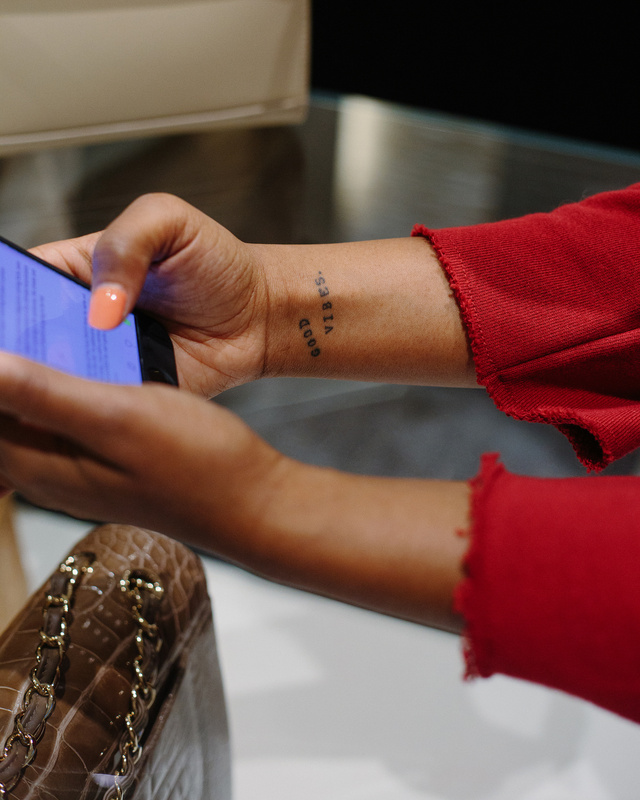 Mostly, she speaks through social media, feeding fans from a distance — a method that offers daily updates (inspirational quotes, outfit-of-the-day shots) without oversharing. After their father died, DeJ and her siblings moved in with their grandmother Joanne on the northside, in a big yellow house. Joanne assigned them chores and kept an immaculate home. She sold drugs, too. About two years later, the kids moved to the eastside with their mom into the projects of Fairview Manor. Latrice, known affectionately to fans as Mama Loaf, says raising the kids wasn’t much of a struggle. “DeJ wasn’t a street runner,” she tells me over the phone from Atlanta, where she now lives around the corner from her daughter. “She wasn’t one of the kids that you have to worry about. She stayed in her books, writing, writing, writing, writing, all day.” She kept to herself. “Deja was never a friendly person,” says her mom. When DeJ was 6 and started school at Howe Elementary, she met her best friend, Tranica Billups. Over the phone from her home in Detroit today, Tranica sounds as much like a Rugrats character as DeJ does, with her soft, childlike voice. She remembers the two of them being inseparable. They played basketball, shopped at the mall, and had contests covering songs like Brandy and Monica’s “The Boy Is Mine” to see who could carry a better tune. DeJ says she always won. The night before our riding excursion, DeJ is feeling seafood, so we drive half an hour to the nearest Pappadeaux, a popular chain, where she orders lobsters the size of her head. DeJ’s outfit is monumental, too: a black hooded trenchcoat that drapes past her knees, embellished with lettering, skulls, and roses. Covering almost the entire length of her legs, thigh-high Givenchy platform sneaker-boots give the 5’1’’ rapper a 2” boost. A bandana that reads “Junkie” completes the look. As if she weren’t conspicuous enough, we’re seated at a table in plain sight of other diners. Our server doesn’t appear to recognize DeJ, though she does compliment her coat. We both get carded for drinks. Earlier that day, we’re at the studio where DeJ spends much of her time. From a plum-colored backpack, she pulls out a MacBook wrapped in a light wood grain case. The laptop is full of songs for Liberated, which has no release date yet but is 90 percent complete, according to her manager. From behind a pair of prescription eyeglasses with blush-colored frames, DeJ sits at a console, making minimal eye contact, her words trapped somewhere between her mind and the glow of LED spotlights. When she speaks, it’s in a tone so soft that it gets lost in the hum of studio equipment. The songs she plays me are a canny mix of high-spirit, dream-chasing anthems, explicit slow jams, and memoir-like material that finds her singing more than rapping. When she plays the title track, featuring her labelmate Leon Bridges, a singer with rich, ’60s-style vocals, it sounds fit for both a Gap commercial and a block party. It’s a cheerful song about feeling carefree, with a chorus where Bridges sings, “I won’t judge who you love or your brown skin,” and it sticks after just one listen. 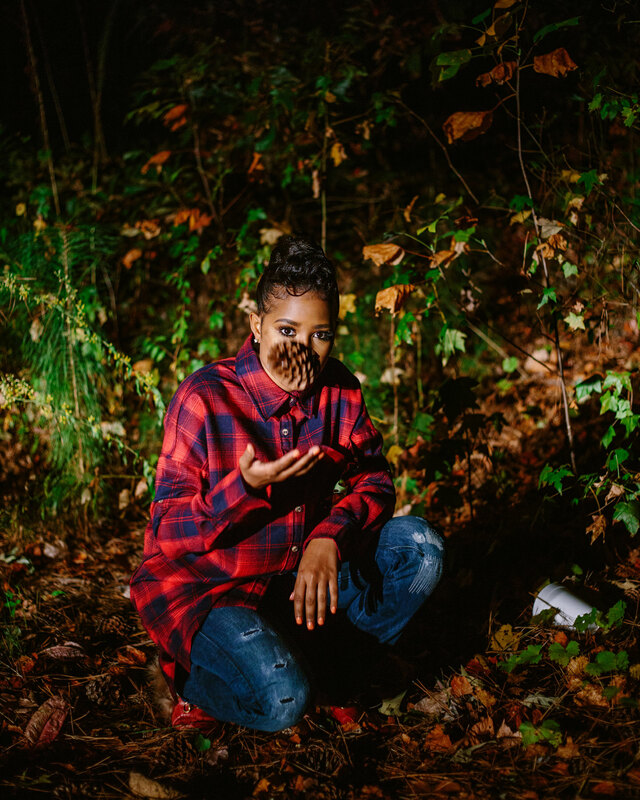 She’s more lyrics-focused on an untitled song, rapping over a gloomy beat about her mom’s pregnancy at age 17, her father’s cheating, and his murder. 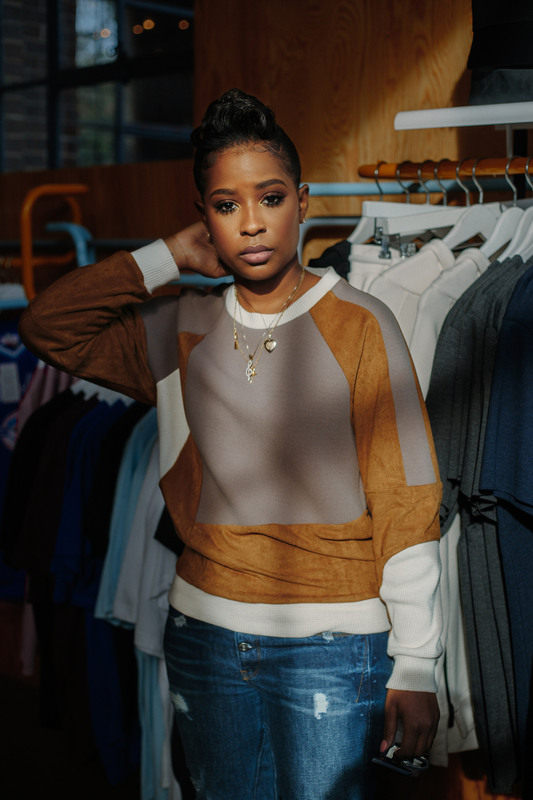 The world has been trying to figure DeJ out, and one of the public’s most consistent curiosities has concerned her romantic life. In January 2016, she played the romantic lead in the video for “My Beyoncé,” her flirty, relationship-goals duet with Chicago rapper Lil Durk. The treatment involved a cutesy reenactment of Love & Basketball, and their onscreen chemistry elicited rumors that they were dating, which they both seemed to encourage in a string of social media posts and captions. Life for DeJ now is all about adjustments. She’s thinking carefully about when to move in silence and when to show out. Fans can get close, but not too close. People can continue to wonder. Her first album has yet to drop and her mind is already ahead of music.